Chihuahuas are the ideal lovable, loyal and long-term pal. When you’re alone in the house with a Chihuahua, you’re never alone — they sleep on your lap, sit by your side, or follow you from room to room while you do chores. When you’re not home, they protect it like their personal domain, barking at the sign of any approaching stranger (making them surprisingly effective watchdogs). This endearing love and devotion, however, can sometimes evolve into a fierce protectiveness, making them a force to reckon with when they try to compete with other pets or family members for your attention. Nevertheless, this big-time attitude packed inside a pint-sized frame has a remarkable way of being endearing rather than annoying. 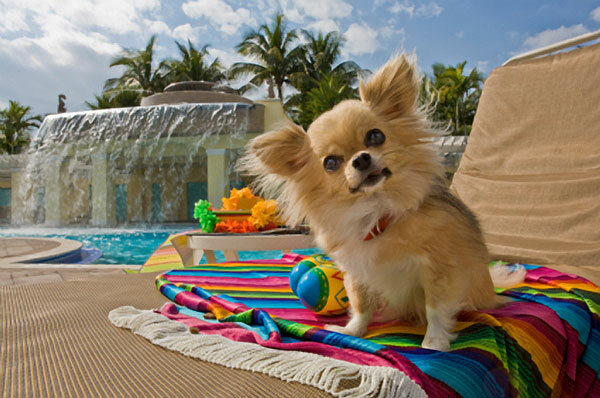 Whether in an apartment, a house or a palace, a Chihuahua is perfectly accommodated. And they’re fairly easy to care for, needing minimal exercise and food. But don’t skimp on the attention: Chihuahuas crave affection and companionship to the point where they may resort to attention-getting tricks. And watch out: They are so quick-witted and cunning and sweet, you might find yourself doing an overtime shift of petting, scratching and cuddling. Chihuahuas have a long life expectancy — as much as 17 years — but they have a tendency to develop health problems like hypoglycemia, joint ailments, eye infections and bronchitis. Also, the tops of their skulls never fully develop, leaving soft spots (“moleras”) that should be protected. Though Chihuahuas don’t need as much exercise as larger dogs, they need daily walks. And they also like to be warm, so you might consider a little sweater for winter walks. Though picky eaters, they can easily be overfed. An obese Chihuahua is more susceptible to diabetes and a shorter lifespan. Bear in mind: The world’s smallest dog could also be the world’s cockiest. And Chihuahua owners will note — during their very first walk in the park — that this breed is fearless when it comes to confronting larger dogs. Don’t be so sure that your Chihuahua will know when it has met its match; i.e., always remove them from conflict. Some people believe that Chihuahuas are one-person dogs and therefore not suitable for families. In truth, they may not be suitable for a small child — since they would not tolerate teasing or random play — but with proper training and gentle, positive reinforcement, they can adapt to any home. The Chihuahua — named for the Mexican state that borders Texas and New Mexico — is the oldest breed on the American continent. Historians believe they evolved from a wild dog called the Techichi that was domesticated by the Toltecs in 9th-century Mexico. Some even claim the modern Chihuahua originated from a cross between the Techichi and a hairless dog that came to North America from China via the Bering Strait. Chihuahuas were discovered around 1850 in Mexico, where merchants were selling them to tourists. They quickly became popular in the United States and were registered with the AKC in 1904. Chihuahuas are the world’s smallest dog breed, normally weighing between 2 and 8 pounds with an average height of 6 to 9 inches. Chihuahuas have a “cobby” body — stout, stocky and slightly longer than tall — that still seems flexible, sturdy and muscular. Their rounded, apple-shaped heads feature dark round eyes, pointed ears and a slightly pointed muzzle. The necks slope down to level backs and sickle-shaped tails that sometimes curl up or to one side. Smooth-coated Chihuahuas have a soft, glossy coat, while the long-coated variety have curly or straight hair. Chihuahuas can come in practically any color or combination of colors.